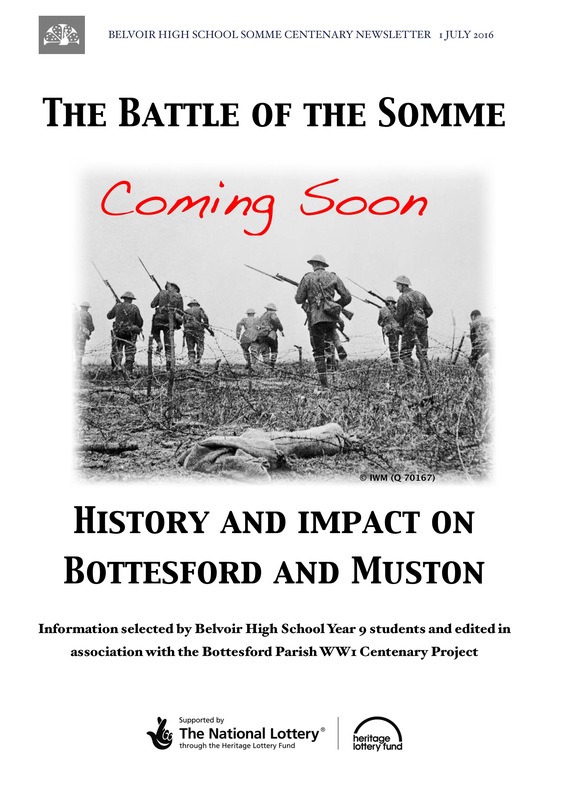 ‘The Battle of the Somme Centenary Newsletter’ produced by Year 9 pupils at Belvoir High School in association with the Bottesford Parish WW1 Centenary Project. 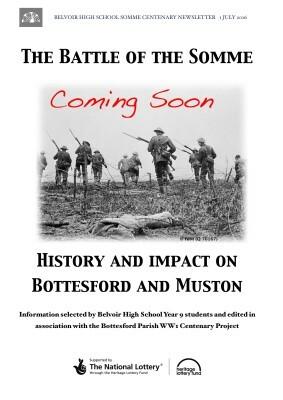 The Bottesford Village Voice kindly volunteered to distribute it to the 1800 households within the Parish. This page was added on 03/06/2016.